Unbelievable true story of non-violent heroism in the midst of one of the most violent battlefields of World War II, “Hacksaw Ridge” shows true heroism can be more surprising than any superhero story. Desmond Doss, played by Andrew Garfield, held true to his beliefs through many trials and opposition to show how his undying trust in his faith could bring him more power than any man made weapon. Garfield was fantastic in the role. He took on a larger-than-life true-to-life character and with some wit and charm was able to portray him in a truthful and relatable manner. The movie stays at a steady pace which makes each scene, each test Desmond is put through and each character more intense. Director Mel Gibson finds a way to contrast a beautiful story of love and faith with the gruesome reality of war. Gibson truly takes on a monumental story and is able to guide his fantastic cast of actors to give a raw feel to the emotions through subtle dialogue and powerful performances. Through the story the trials of Desmond seem too hard to go through and at points he becomes a person too selfless to be true, but, through trust in his faith, Desmond takes on all challenges and obstacles head on. The spectacular true story is adapted for the big screen in a great way, is shown in a realistic manner and can be enjoyed by audiences. Checkout the highlights from the “Hacksaw Ridge” press conference for some more information on the story, the casts’ reactions to it and how the movie came to be. I give this war movie 4 out of 5 Popcorns. The movie as a whole shows the power of determination and faith. The acting from all the cast members is phenomenal, from Andrew Garfield as the lead, Teresa Palmer and Vince Vaughn to all the extras in the battlefield. 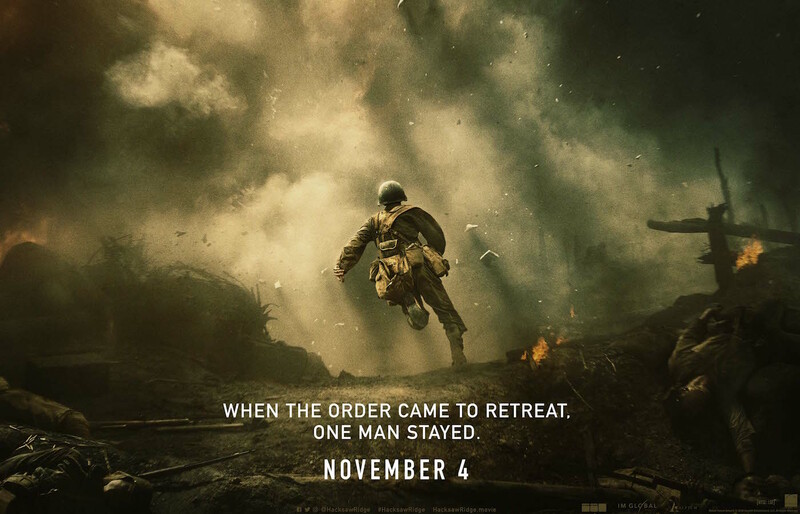 “Hacksaw Ridge” is in theaters Nov. 4.